Neti Salt™ is the purest available, so that impurities in the salt do not irritate your gentle nasal passages. 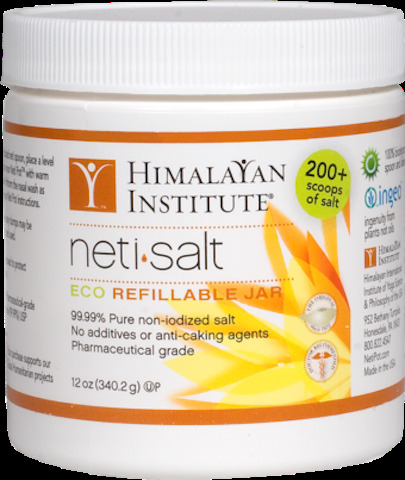 This salt is perfect for use with the Neti Pot and similar products. Using high quality neti salt is an important part of the cleansing process of a nasal wash. Our salt is pharmaceutical grade and provides a thorough and gentle purifying for your daily routine of nasal cleansing. The Neti Salt Jar and enclosed measuring spoon are biodegradable!